Like every year this year too children from the Gyansaathi Project participated in the Individual Costume Award at Mumbai Marathon 2017. 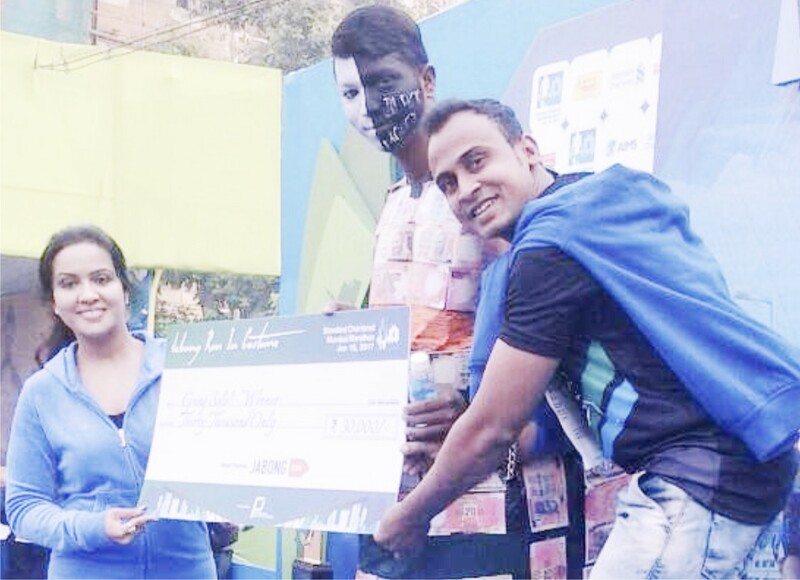 This year it was Saif Shaikh our Gyansaathi student who made us immensely proud by winning the 1st Prize for his costume. Saif under the guidance of teachers from Gyansaathi depicted the ‘Elimination of Black Money and Demonetization Initiative’ through his Innovative and Ingenious Costume. In his speech he mentioned the need of paying tax for the development of our country and said that if all wealthy people reveal their unaccounted income (black money) and pay tax, Government could spend that money for developing slum areas and provide basic education to all children thus paving a way for their bright future.